There's no denying that the Killzone franchise is easily one of the PlayStation 3's best-looking series, but does the follow-up to 2009's blockbuster bring anything new to the table? There's no shortage of stunning visuals in Killzone 3, but unfortunately that's where the interest ends. 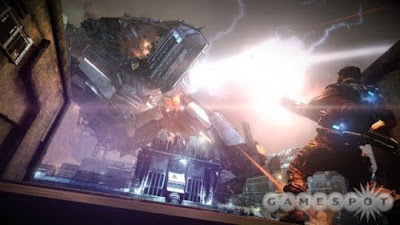 There is simply too much of the same game we saw in the previous title to make Killzone 3 stand on its own. Aside from the occasional jet pack levels and jungle environments, Killzone 3 is irritatingly repetitive. Also, the issue of clunky controls remains present; the analog sticks just feel sluggish in game, something other PS3 shooters do not suffer from. Sony is pushing the Sharp Shooter Move accessory as an alternative way to play the game as well. While we haven't had enough time to give the Sharp Shooter its own separate review, our experience with it during Killzone 3 sessions was mixed. We really liked the vast amount of functionality littered along the device, but aiming and movement really took some getting used to. 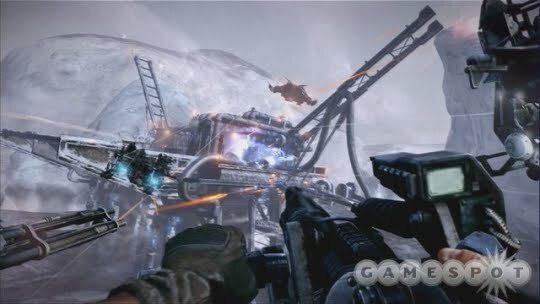 Playing Killzone 3 with Move alone proved to be slightly more enjoyable, but we'd be surprised to see hard-core gamers abandon the DualShock 3. 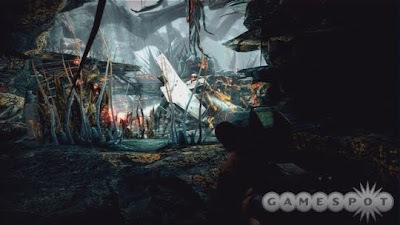 To call Sony's latest shooter, Killzone 3, a serious graphical achievement is an understatement. It's beautiful, seamlessly rendered, impressively executed. It's also boring. I'm sorry, it's true. The resemblances to Gears of War feel all too obvious, both in art style and story execution. 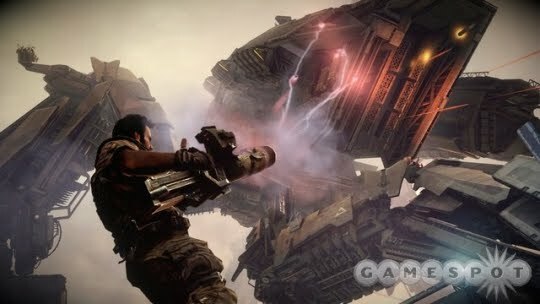 While Killzone 3's universe is far different, you might say that both Gears of War and the Killzone franchise are becoming two very equivalent summer-blockbuster-style action movies that are growing ever-closer together. I tried to care about the story, I really did. But the over-wrought dialogue, terribly serious one-dimensional characters, and predictable plot won't win awards. That's not what brings us to play shooters such as Killzone 3--at least, those who care about shooters--but this isn't a great leap forward for gaming as a transformative entertainment medium. Inventive and surprising, this certainly isn't. Is it asking too much that I be surprised by a shooter and its story--that I find myself taken to new territories? Maybe it is. 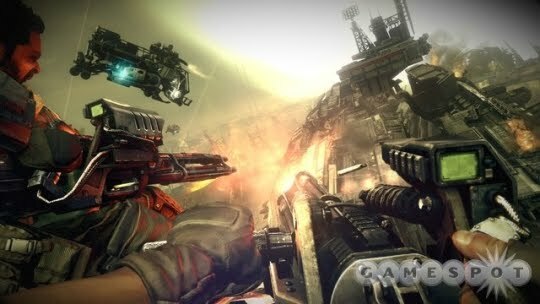 Killzone 3 is a definitive action centerpiece for the PS3, but it's nothing that anyone else will pay attention to. It's worth the price of admission, but it's not a killer app. Then again, if you're looking for epic, large-screen HD entertainment and nothing more, then you've come to the right place. As an actual interactive experience, Killzone 3 can best be describes as rigorously competent. 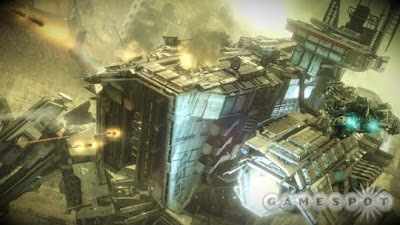 If you've played Killzone 2 (which was one of the first must-play PS3 games), then this is more of the same, plus a small amount of flying around on jet packs. It's video game junk food, but there's nothing wrong with spending a few hours indulging in a guilty pleasure. But the main reason I was looking forward to Killzone 3 was that it was one of the only console games designed to work with the current generation of 3DTVs. As one of the few who actually made the 3DTV plunge, I've been waiting a long time for some quality 3D action. Unfortunately, the implementation of 3D in Killzone 3 isn't perfect. I suspect it's because the PS3 console is being asked to pump out literally twice the number of frames (60 per eye, per second), so the visual quality takes a bit of a hit. At times, playing in 3D felt like watching the game through a fish tank, and I ended up playing most of it back in the standard 2D mode. The next big test for 3D console gaming will be EA's Crysis 2, and at least from the few 3D demos I've seen of that, it looks promising. But it may be that the aging current generation of living room consoles just can't deliver picture-perfect 3D games--at least not in the way a high-end gaming PC with an Nvidia 3D Vision rig can.